The Georgia Hispanic Bar Association is a voluntary bar association dedicated to serving both the Hispanic community and the community at large. We aim to promote diversity and to serve the community through programs that educate and connect members of the community. The GHBA provides members with leadership opportunities, social events and community outreach programs that cultivate professional skills and personal relationships. Be sure to check our monthly newsletter, delivered to your email, for these opportunities. The GHBA is also committed to the recruitment and retention of Hispanic students in law schools. Throughout the year you will find ample opportunities to get involved with law students, whether it is through our mentoring program, networking mixers, law student panels, career day, or any of our many volunteer opportunities. 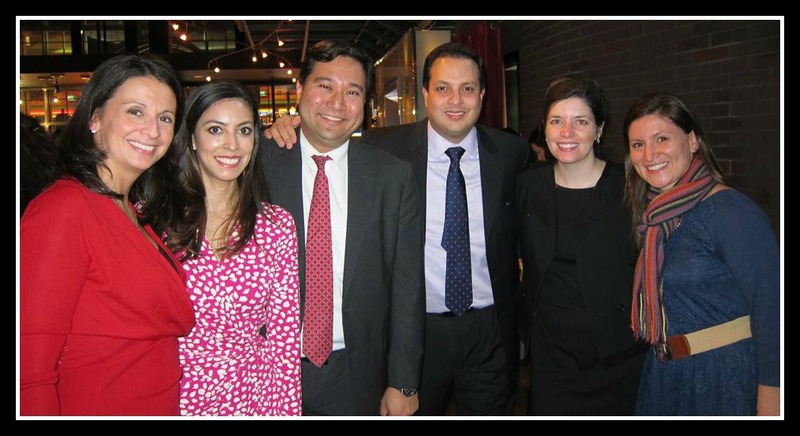 The Georgia Hispanic Bar Association was created in the early 1990's by a group of Hispanic attorneys seeking to promote diversity and foster the growth of the Hispanic legal community. Each year since its inception, the organization has continued to grow in its efforts to support the legal community and the public. The organization is an affiliate of the Hispanic National Bar Association. The GHBA seeks to promote diversity in public and private legal organizations and departments, facilitate the continuing legal education of its members, foster the exchange of ideas and information between Hispanic lawyers, educate the Hispanic community on its legal rights and duties, and promote the recruitment and retention of Georgia Hispanic students in law schools. We have been fortunate to have great leaders throughout the history of the GHBA. We are grateful for their service and their dedication to the Hispanic legal community.